The fully restored Hotel Lisbona Venice offers guests charming and sublime 18th century surroundings in the heart of Venice old town, just minutes away from St Mark’s and the entrance to this unique city’s Grand Canal. Situated on the San Moisé Canal with certain rooms overlooking the gondola-riddled waterways, this splendid 3 Star hotel is perfect for that romantic break you’ve always dreamed of and our rates are really quite reasonable. Check availability and prices on our real time booking page. The Venice Hotel Lisbona has been fully restored to its former glory and our snug fit, wedged in amongst the winding, curved, cobbled and leaning stone, brick, wood and water world of Venice allows the Hotel Lisbona to proudly breathe its own personal contribution into the life of this great and individual city. As well as a fantastic location in the very epicentre of Venice, this beautifully restored 18th century style hotel combines its classical decoration with modern convenience, with a host of home comforts, modern technology and useful facilities at our guests’ disposal. 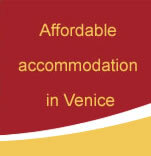 For affordable accommodation in Venice at a truly fascinating and characteristic Venetian albergo and from the finest location possible. 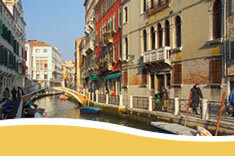 see if the Hotel Lisbona is to your liking; why not take the Venice Hotel Lisbona Virtual Tour? See various parts of our stunning little hotel in panoramic, 360° photographs that leave no corner out. With only 15 rooms we are able to afford all our guests the most personal of touches and the most individual of service. Visit our booking page now to check availability and prices. The best rates are guaranteed when you book directly with us.